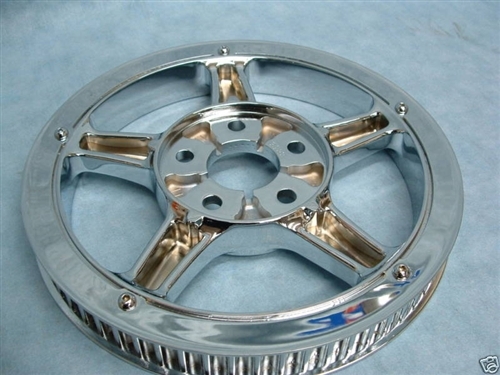 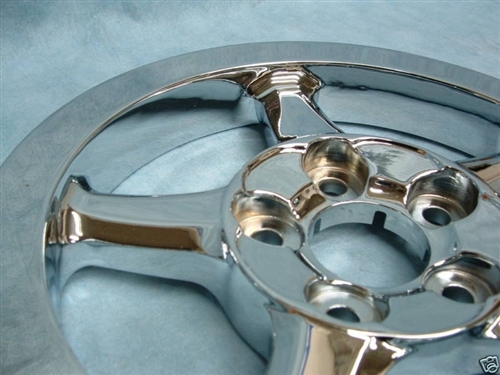 Your rear pulley is carefully diss-assembled, chrome plated, and re-assembled. 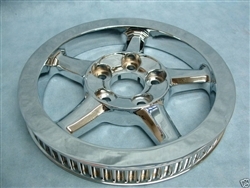 The backing rim is removed for this service, and then installed for you, labor is included in the price. This is a perfect compliment for a chrome rear hub.